Three armed naxals are suspected to have visited the government veterinary college in Pookode, Wayanad in the early hours of Wednesday morning. The three allegedly restrained the security personnel at the main gate at around 3am on Wednesday. 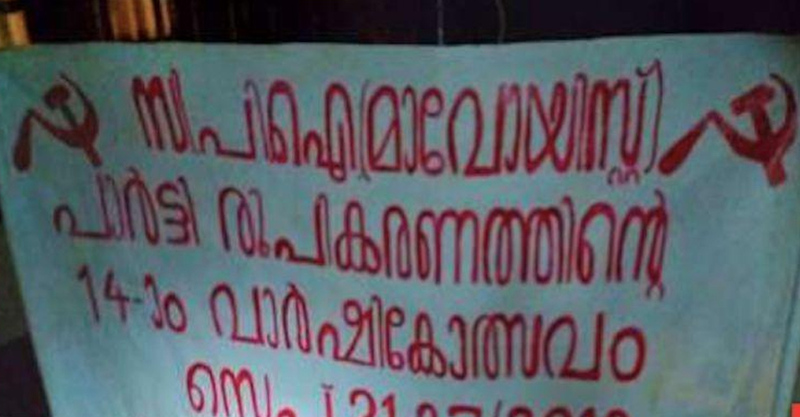 “The banners and posters were CPI (Maoist) slogans written with red ink on a white background. We also found some material which we suspect to be explosives placed near the main gate. We are currently examining these substances,” Kalpetta Circle Inspector told TNM. Police also said that the three of them are said to have spoken to students who were leaving the college to go home for their 10-day break. According to reports, the three of them had allegedly seized the phone of the security guard and checked it. The veterinary college is situated near the Sugandhagiri forests in Wayanad where police officials have earlier reported cases of suspected Maoist activity.